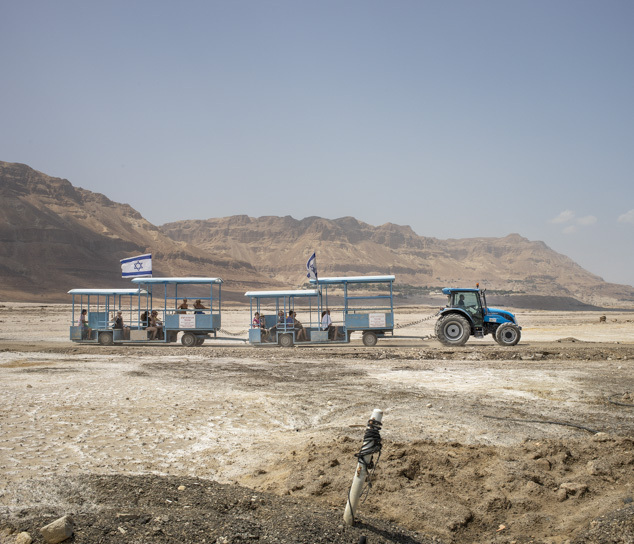 Between 2017 and 2018 the level of the Sea of Galilee, the main source for fresh water in Israel, fell permanently below the red guard line of -213.18 mt. 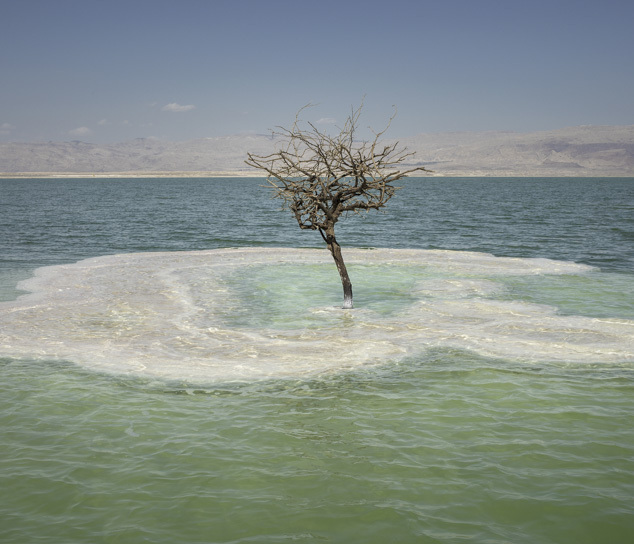 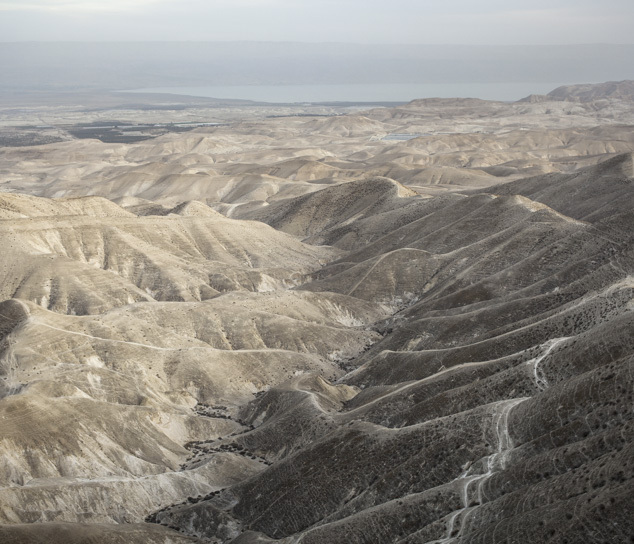 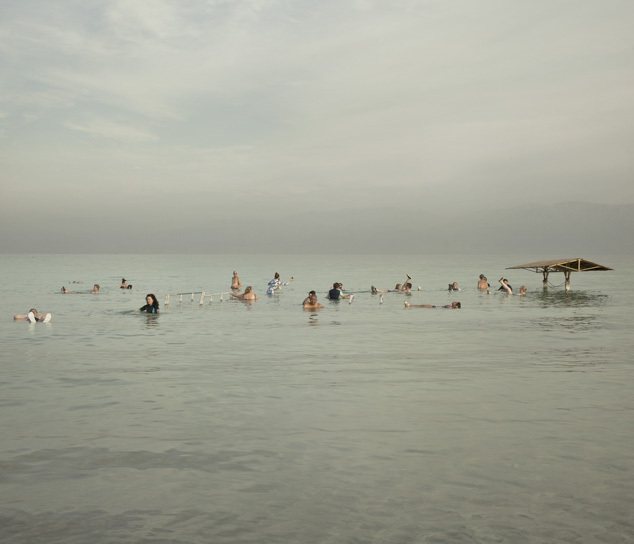 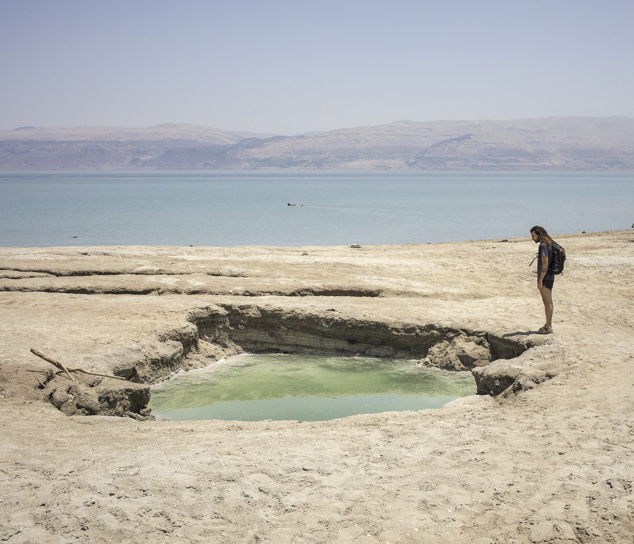 Just further south the Dead Sea has beaten its negative record, with the level of its salty water going down to more than 430 m below sea level. 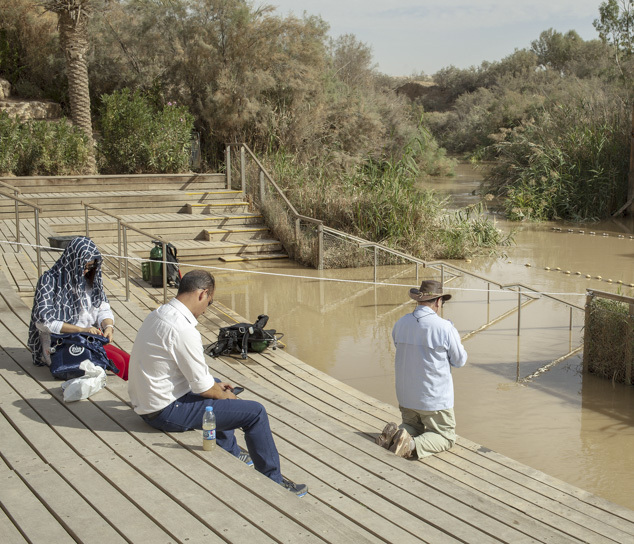 In the center, the river Jordan is reduced to a muddy trickle of cloudy water. 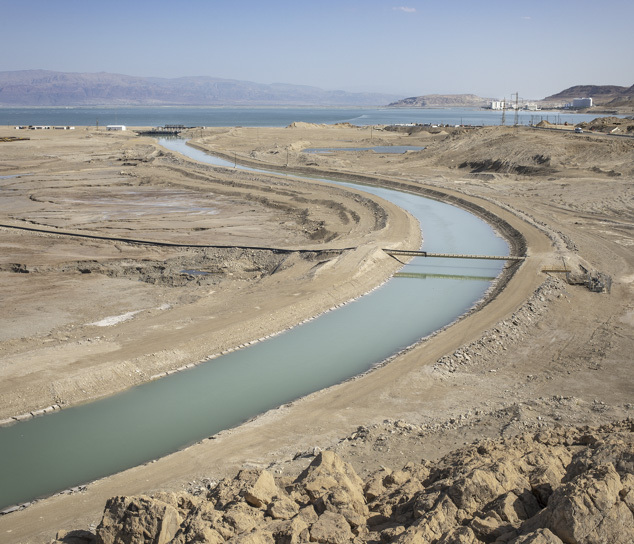 Climate change is accelerating the process of reducing the aquifer resources already in progress, making the water crisis in this area chronic. 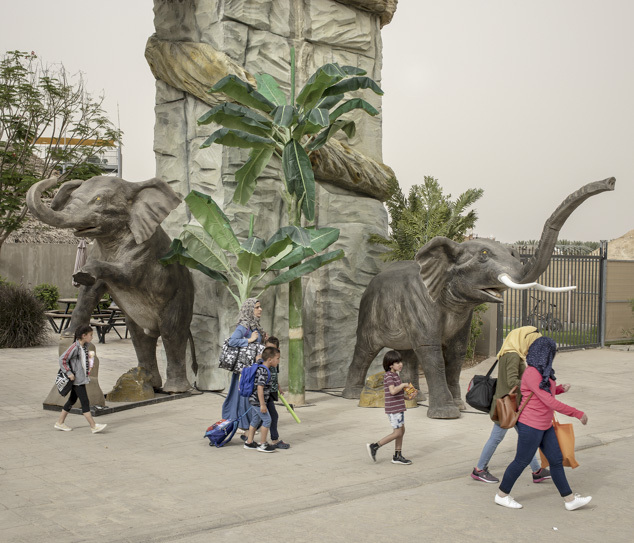 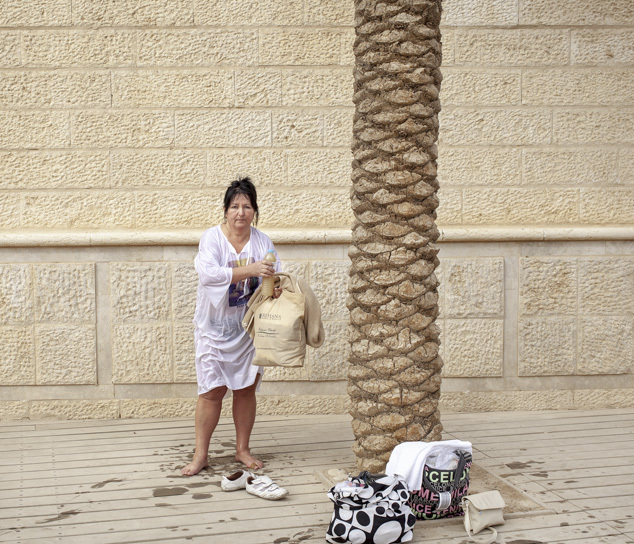 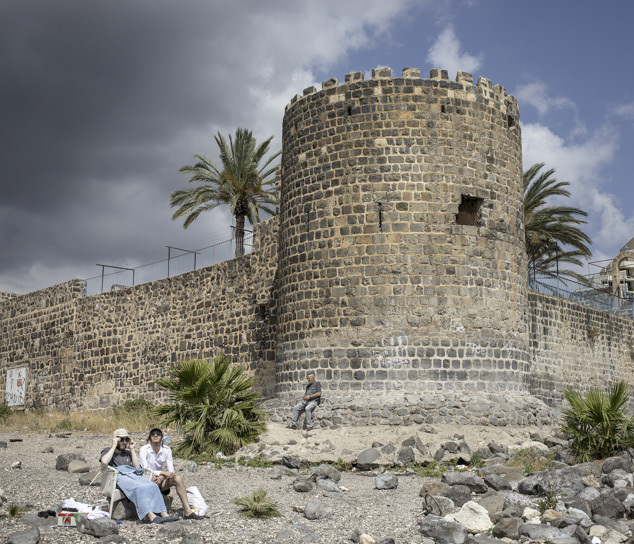 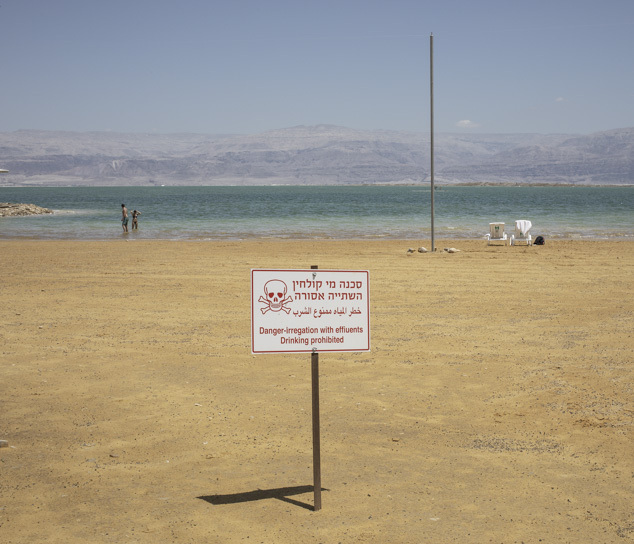 Collaterally, it shows the paradox of a maritime tourist industry struggling with water shortage.At the same time, these places are experiencing, like all of Israel, an increase of tourist presences. 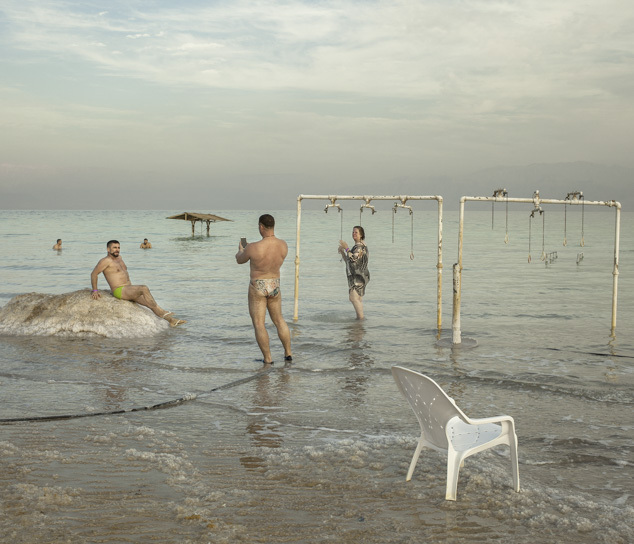 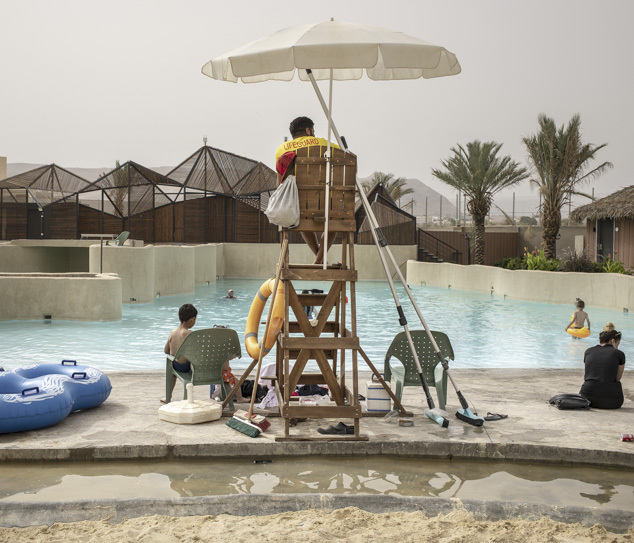 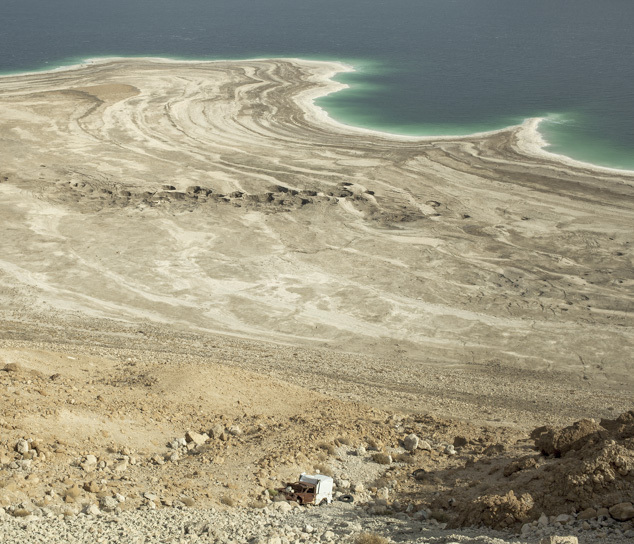 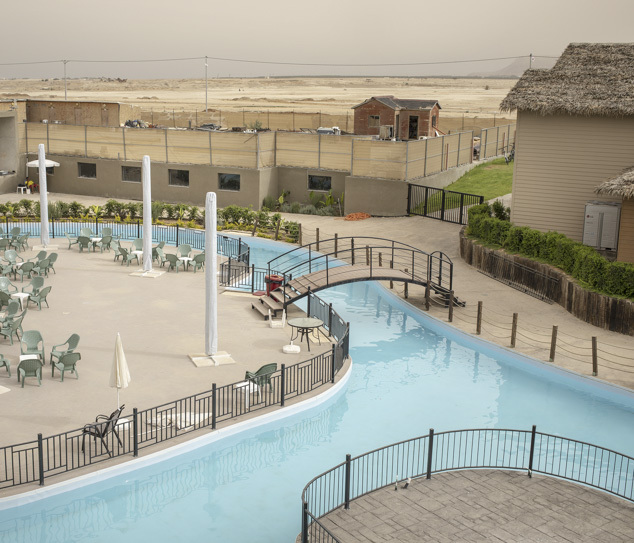 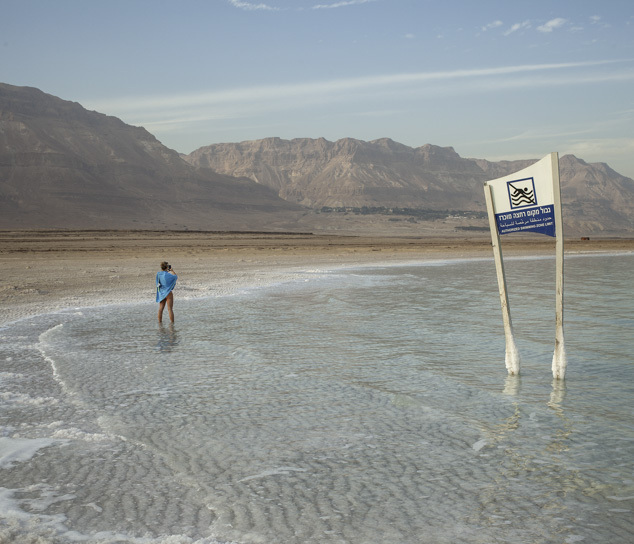 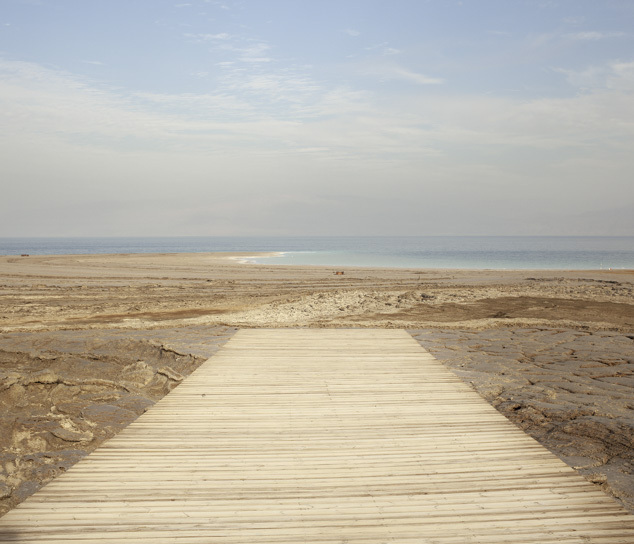 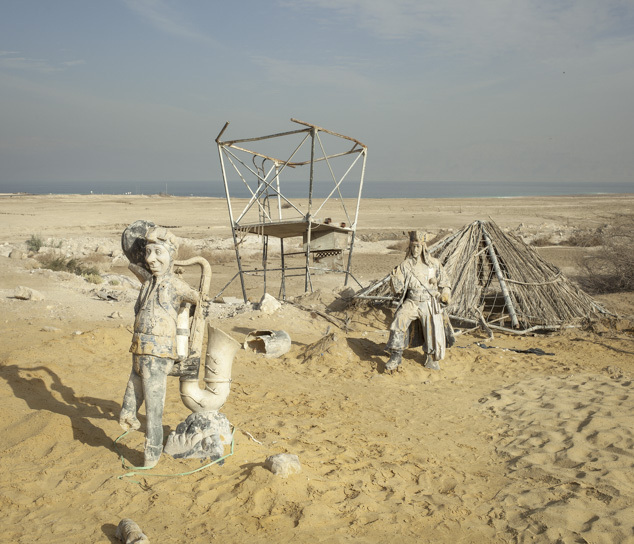 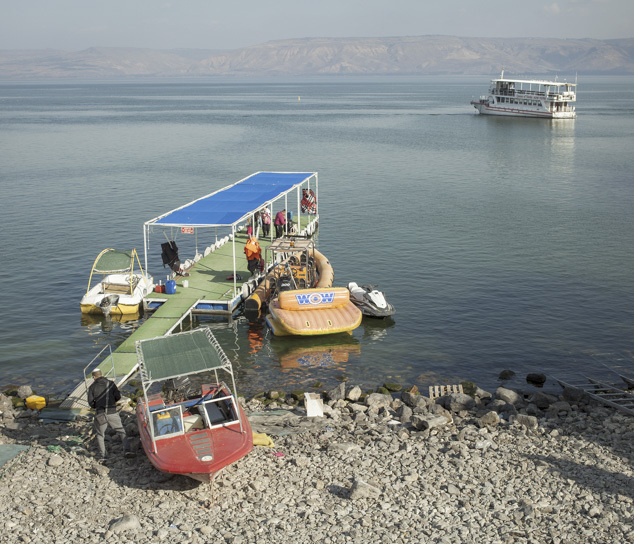 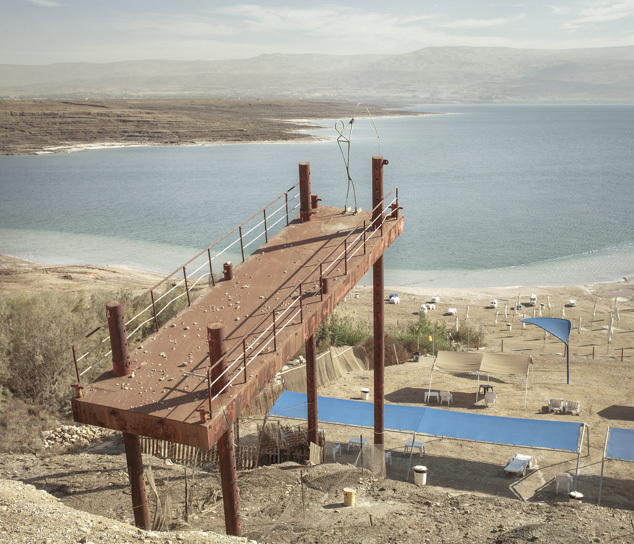 In order not to lose this opportunity, the Hotels on the northern coast of the Dead Sea – as well as on the lake of Tiberias – are equipped with mobile beach resorts that follow the decrease of water and avoid sinkholes due to desalination of the land. 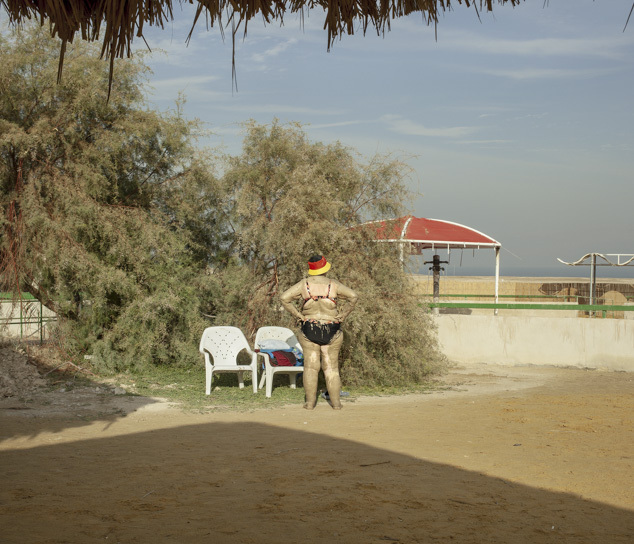 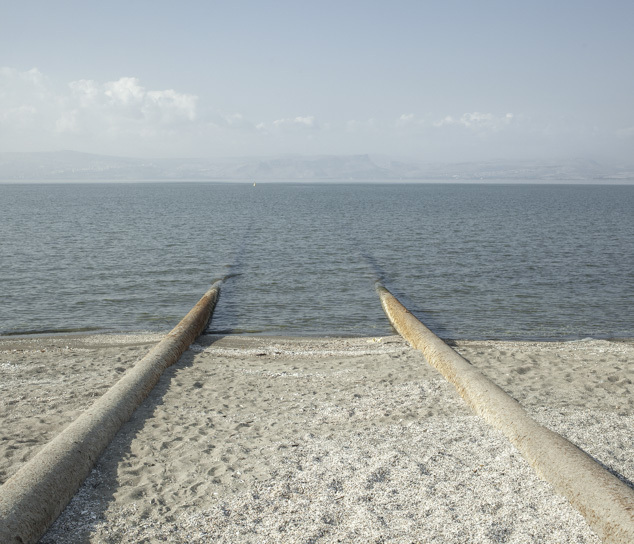 Along the southern coasts of the Dead Sea, on the other hand, a system of canals and dams allows the new Ein Bokek beach area to enjoy an artificially stable sea level. 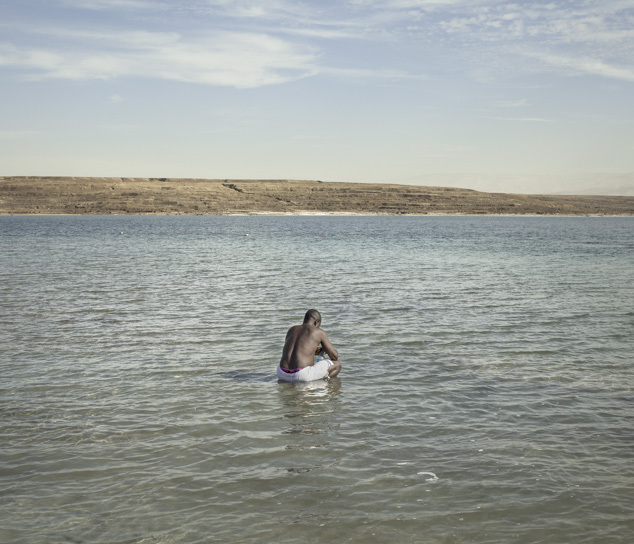 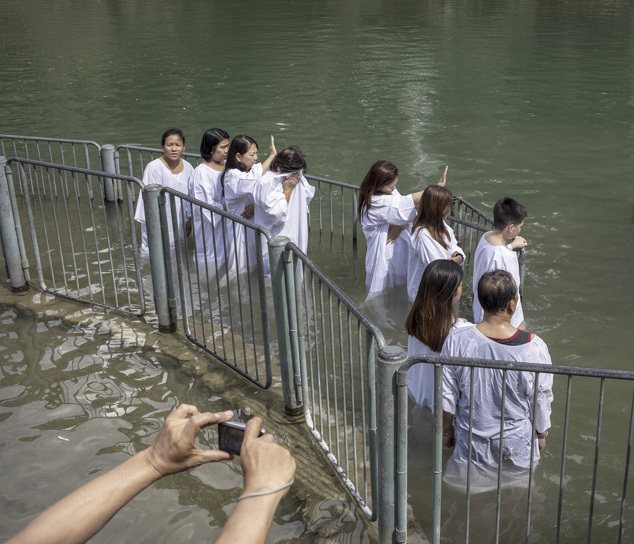 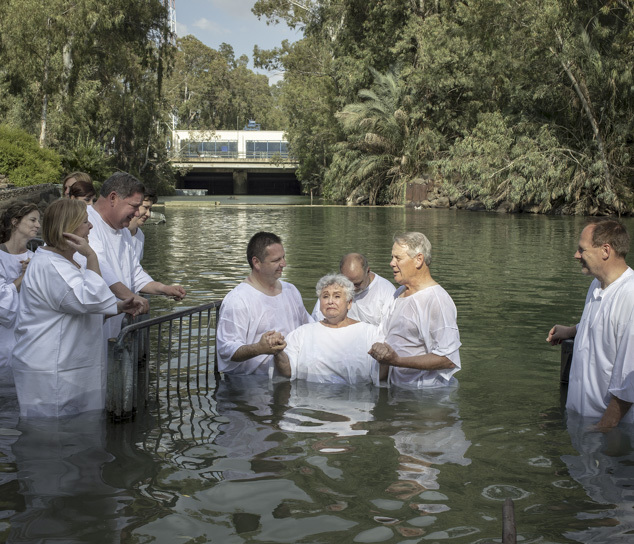 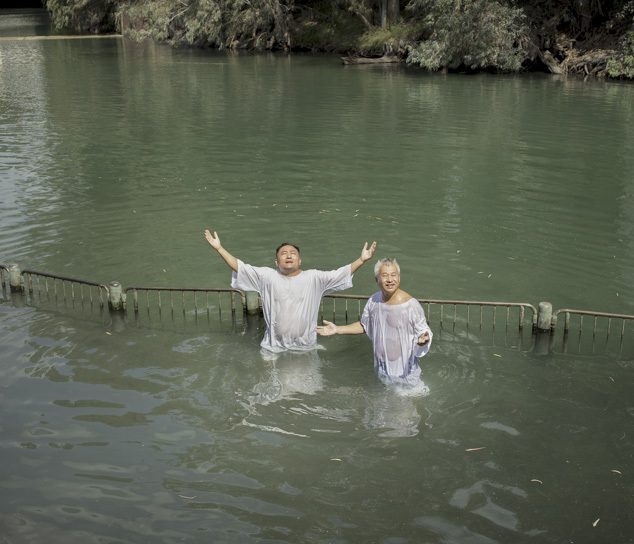 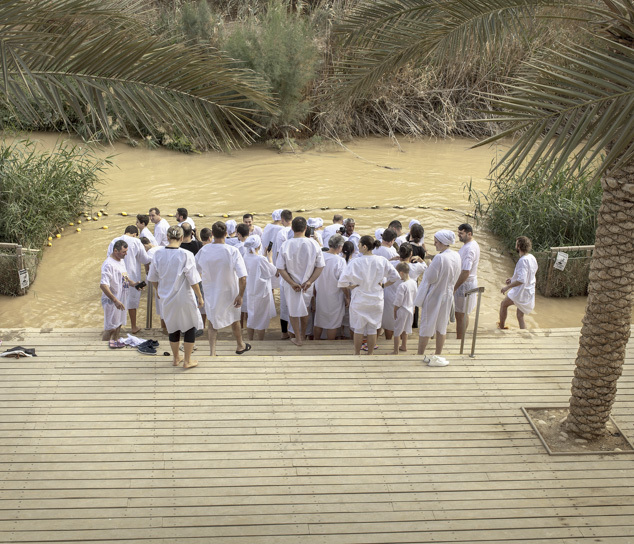 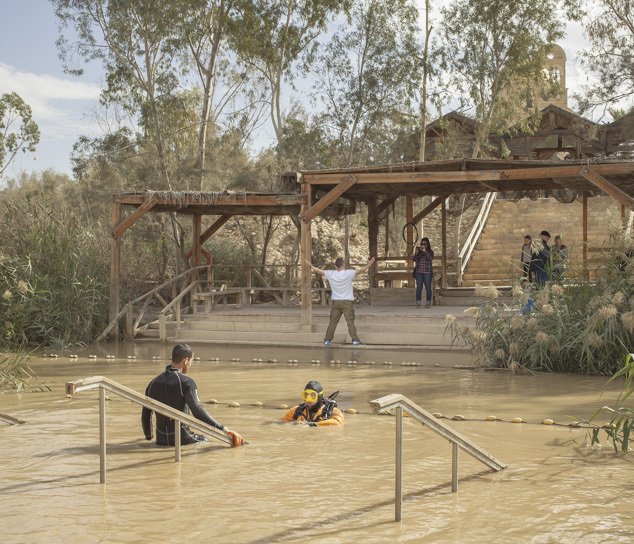 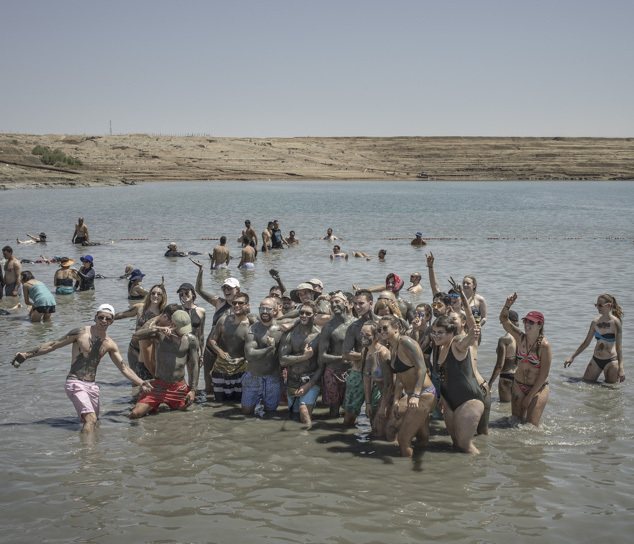 On the holy Jordan River, pilgrim tourists celebrate their own baptism in the regulated and green waters of Yardenit – an artificially site constructed between two dams in 1981 by the Ministry of Tourism – rather than in the historic Qasr el Yahud, where the biblical river is reduced to a little solemn moat. 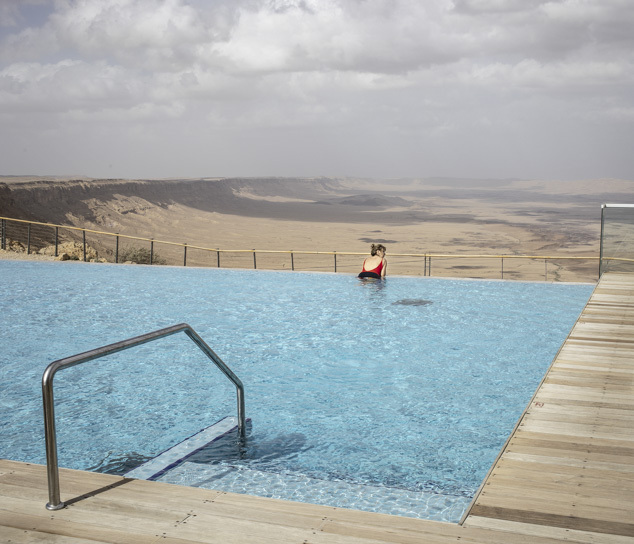 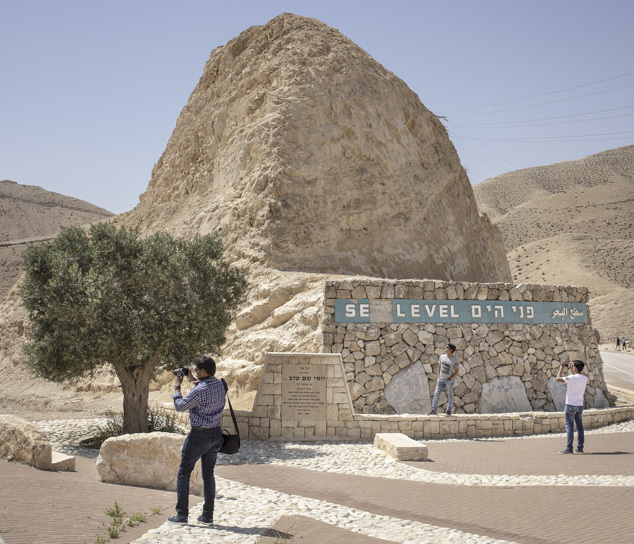 This tourism industry shows its contradictions even in the place par excellence without water: the desert of Negev. 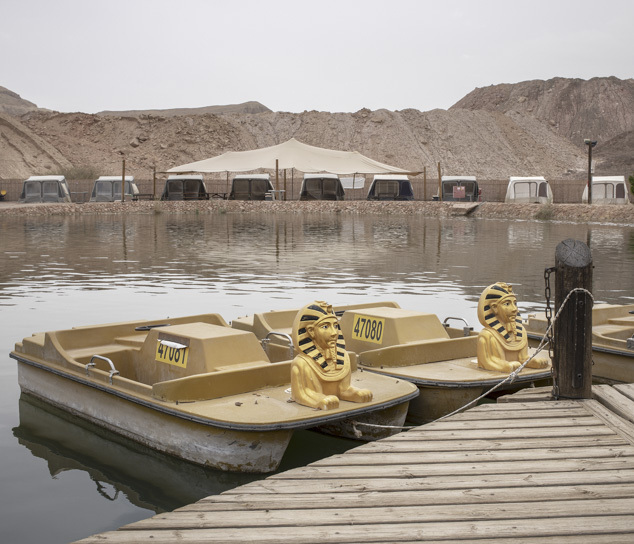 An artificial lake welcomes the visitors of Timna archaeological park, while luxury hotels and pools guarantee a breathtaking holiday, at any price. 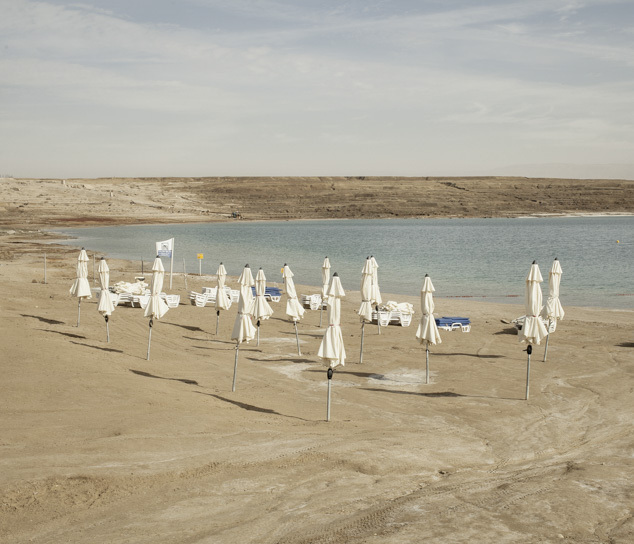 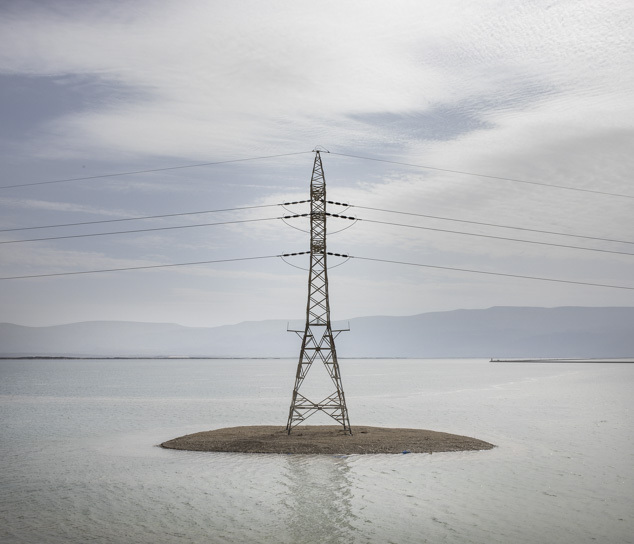 Water tour is a visual project investigating how the industry of tourism in this area is reacting to the effects of climate change. 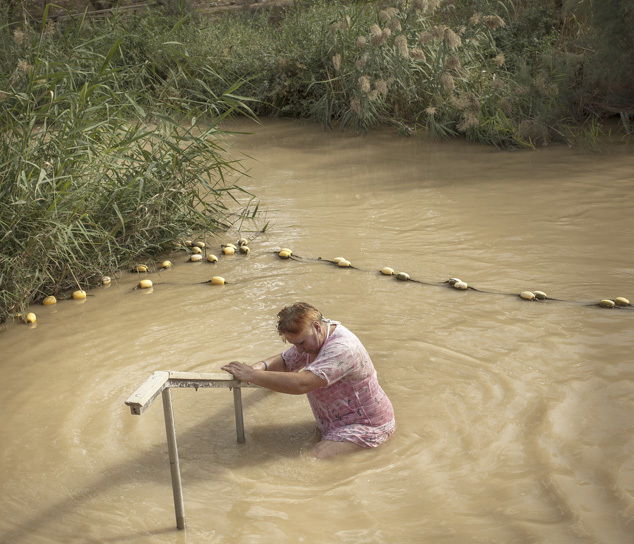 This series of photos shows how this business model appears involved in the exploitation of the last drop of the very same resources on which it is based: water.